Pass the popcorn and cue up some easy-to-master fall-centric recipes to take in the celebrated celluloid brilliance of everything from extraterrestrials to hocus-pocus. Ghouls, goblins, mystery-solving VW vans—the gang’s all here. Don’t feel like cooking? We got you. Check out our list of heart-melting grilled cheese recipes and have the kids whip up dinner. If they can run the Apple TV, they can master the joy of sandwich art. Did we mention these titles are all instantly queuable? We’re all about the quick family fix. Produced by Stephen Spielberg, this 1987 classic, co-written by Brad Bird, follows a set of elderly apartment block tenants who employ the aid of extraterrestrial robots to save their building from the fate of demolition. It’s sort of like Home Alone with tiny robots and fantastically charming 1980s retro pre-CGI effects. If you binged on Stranger Things, it will be a welcome dive back into ’80s nostalgia. Watch it on Netflix, or download it on iTunes. Directed by Stephen Spielberg and written by Melissa Mathison, this unequivocal gem hardly needs an introduction. The story of the most gentle alien of all time and his adventure to return home after being stranded in suburban America, E.T. is a must-see for all ages. Stock up on the Reese’s Pieces, which enjoy a famous plot point nod in the first act. The 1991 feature film adaptation of the fictional family created by American cartoonist Charles Addams starring Anjelica Huston, Raúl Juliá, Christina Ricci, and Christopher Lloyd is a ’90s staple. 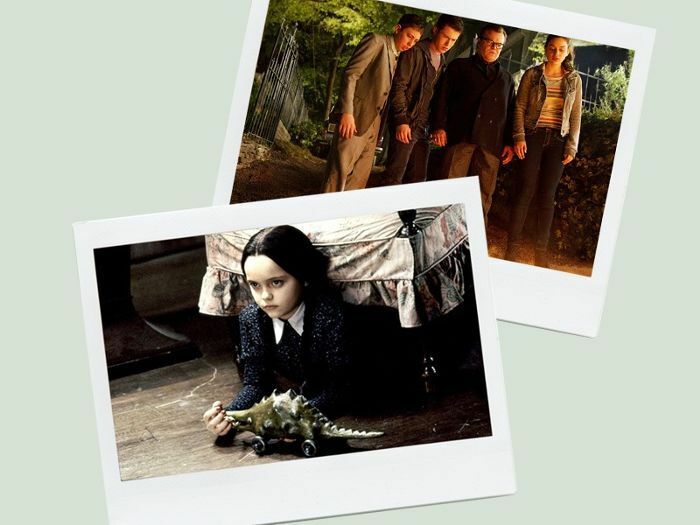 It also ranks top on our list of favorite Halloween films to steal décor tips from. The film features all the macabre gothic glam you can handle. The celluloid adaptation of R. L. Stine’s best-selling book series stars Jack Black, Dylan Minnette, and Odeya Rush. Black plays author Stine, whose fictional monsters take on a real-life presence after being unwittingly unleashed from the manuscripts that held them captive. Directed by Rob Letterman, the plot revolves around the power of imagination—something every kid should tap into. Disney’s iconic 1940 animated film sets a string of whimsical character romps to great works of Western classical music. “The Sorcerer’s Apprentice” is perhaps the best known, with Mickey Mouse as a magician with unwieldy powers. Leopold Stokowski conducts the Philadelphia Orchestra to a host of delightful stories involving everything from dinosaurs to Greek gods. Fair warning: “Night on Bald Mountain” and “Ave Maria” depict a war of darkness and light that may genuinely scare smaller tots. It’s enough to haunt some dreams. Tim Burton’s 2005 claymation film makes use of the distinguished vocal chops of Johnny Depp, Helena Bonham Carter, Emily Watson, and Tracey Ullman—to name a few. Set back in a late-1800s Victorian village, the story follows a man on his wedding day who befalls an unfortunate fate. After becoming accidentally married to Emily, the corpse bride, he must choose between his intended betrothed and her undead competition. The 1975 family classic Escape to Witch Mountain follows a pair of mysterious orphans with extraordinary powers on the run from a maniacal millionaire out to exploit them. With the help of a cynical widower, they manage to escape to Witch Mountain. The ride is a kid-centric magic-meets-extraterrestrial romp through the lens of Disney’s impeccable imagined franchise framework. It’s a classic. Catch every episode of Cartoon Network’s 2010 series reboot Scooby-Doo! Mystery Incorporated. The original Hanna-Barbera Productions Saturday morning cartoon series first aired in 1969. Consistently ranked among the greatest TV cartoon series of all time, it’s a mainstay that’s entirely binge-watch appropriate for kiddos. What is your favorite family halloween film? 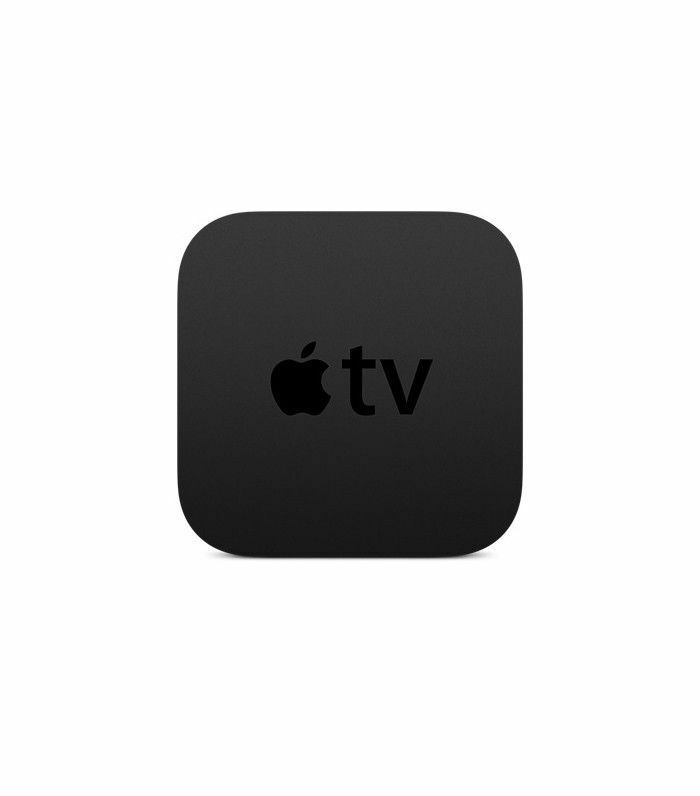 Let us know, and shop Apple TV to stream instantly at home.